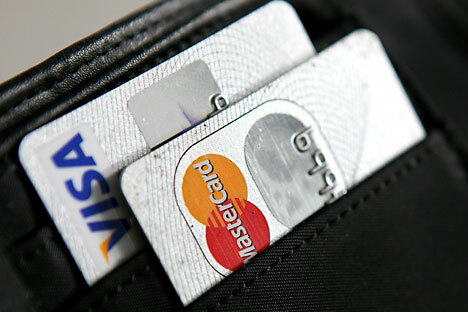 Visa and MasterCard cards will resume functioning in Crimea after transactions are transferred to the processing center National Payment Card System, Anatoly Aksakov, deputy head of the financial committee of the State Duma, said. "A unified Russian transaction processing center will begin functioning in April. All transactions will be processed by our center. America won't even see it and will not be able to block anything. Russian bank cards, Ukrainian, German, American, Japanese - any [cards], there will be no problem with that," Aksakov told a press conference in Simferopol on Friday. Aksakov said holders of bank cards of the banking systems Visa and MasterCard, which stopped providing services to residents of Crimea in December 2014, will be able to take money from their accounts and conduct transactions inside of Russia. Residents of Crimea currently can take money from Visa and MasterCard cards only in the offices of the banks that issued those cards. Crimean holders of cards issued by Sberbank and other large Russian banks that have no offices in Crimea cannot take money from their cards without leaving the peninsula.